Disclosure: This is a sponsored post on behalf of JOHNSON’S® NO MORE TANGLES® and Latina Bloggers Connect. With the Holidays fast approaching many Hispanic homes are getting ready to put together a beautiful dinner which is called Noche Buena. This fun takes place on Christmas Eve. It’s a celebration that brings families together to celebrate and have fun. One thing I love is dressing up my girls for this dinner and we all know that a beautiful dress also needs a beautiful hairstyle. That way they not only enjoy a great meal but also look their best at dinner, and the family has more time to spend together. Dressing up our little ones to look their best is really important, especially when so much family will be around and so many photos will be taken. 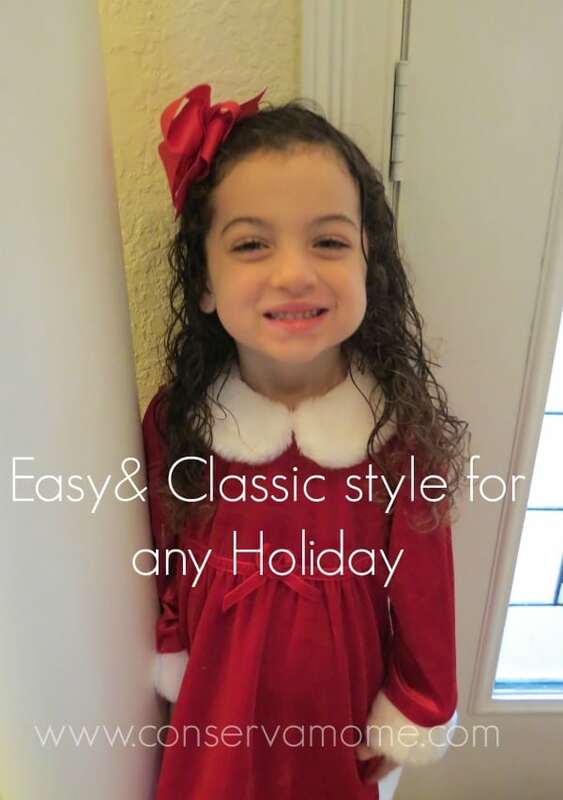 To ensure the perfect hairstyle to accompany the cutest outfits I make sure to simplify the styling process on my youngest girl who has unruly curly hair. 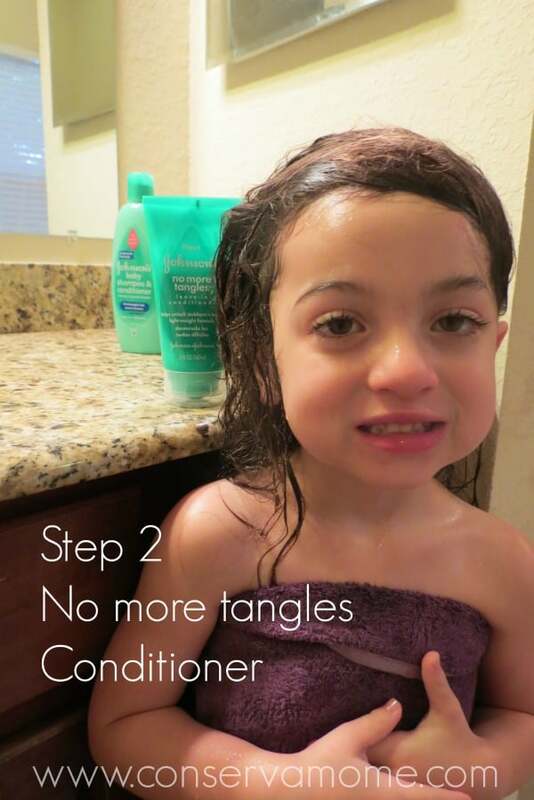 Thankfully JOHNSON’S® NO MORE TANGLES® has an easy 3-Step regime that makes any styling process easy and fun. tangles for silky, shiny hair. And style using a brush or wide tooth comb and a Detangling Spray.The Detangling Spray instantly unlocks stubborn knots in wet or dry hair. This is a must have in my hair care collection on those days I need to fix her curly hair up quickly! Because I love to style my princess’s hair in a classic way and naturally of course, I can use these products to style them perfectly. After using my fingers to just loosen her curls. I place a festive bow clipped to the side. I then let her hair air dry giving her curls the natural beautiful look they get with these fantastic products. When her hair is set and dried she is ready for the big night. I am always amazed at the beautiful job JOHNSON’S® NO MORE TANGLES® does on my little girl’s hair! One of the most trusted name in baby care, JOHNSON’S® Baby is rooted in science and has more than 100 years of leadership in the industry. JOHNSON’S® Baby uses that knowledge and expertise to create pure, mild, gentle and clinically proven products formulated especially for children’s delicate hair and skin. That is why JOHNSON’S® Baby has an exclusive three step hair care nourishing regimen, JOHNSON’S® NO MORE TANGLES®. A baby’s hair may double in thickness by their second birthday, but remains more delicate than adult hair. Baby hair is more prone to breakage, and for this reason, JOHNSON’S® NO MORE TANGLES® is formulated with hair conditioners that gently moisturize as they cleanse, to nourish hair as it grows. The three-step regimen is essential for maintaining healthy-looking and nourished hair.Make the change now and simplify your life with an easy system that leaves your little girl’s hair amazing,shiny and ready for the Holidays! How do you keep your daughters’ hair manageable? For more fun and easy hairstyles visit the JOHNSON’S® Baby YouTube Page or head over to the Follow the conversation in social media by using the hashtag #NOMORETANGLES. I have just a boy at the time being so thankfully no tangles here!! But, I myself have curly hair so Im sure if there’s a girl in my future she’ss have a full head of curls!! Now I have a great way to fight them nd make them look fabulous!! I absolutely love Johnson’s No More Tangles.I use to use it on my daughter when she was little.Her hair was long,thick with tons of curls,which would constantly get tangled or look like it wasn’t even brushed.This worked miracles for her hair and left it with a shiny coat as well.I have since used it on my nieces and even my grandson’s hair.Thanks so much for the review,Johnson’s makes the best kids products. I love Johnson’s products! We use Johnson’s shampoo on our little one but she doesn’t have enough hair for it to be unruly yet but we are expecting it to be so because my husband and I have thick hair. 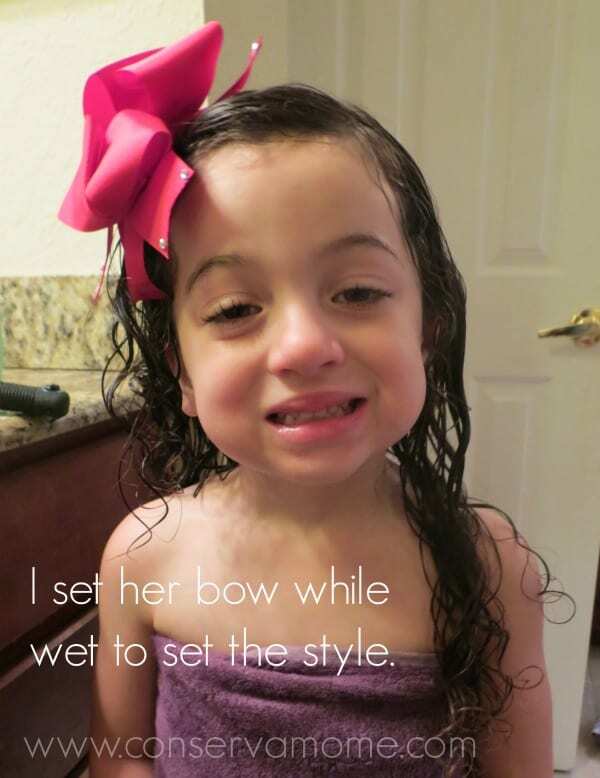 This sweet girl looks beautiful – and her hair is gorgeous, too…thanks to Johnson’s No More Tangles! Terrific product! I’ve used Johnsons products for a long time. I really do like them and they work nicely. Her hair looks just like mine. Mine has some silver strands it though. Anyways, it always tangles. I should try this on my hair. i used johnsons and johnsons over the years with my daughters that are 37 and 31. i just the shampoo and then later the detangler and conditioner as years went on.. but now out of the 10 grandchildren only 2 are girls.. and i am so proud to say that with the detangler life is so much easier!!! thank you Johnsons & Johnsons for many years of great products!! I would love to try this for my hair because it gets so tangled! What a great review! My daughter has curly hair and I haven’t tried this product yet. Thanks for the review, it helped me decide to get some! I am going to buy this for my granddaughter! She has long hair and brushing her hair after a shampoo is a nightmare. Growing up in the ’70s with LONG hair, I remember being so relieved when my mom started using this for comb outs. What a difference a detangler can make! You don’t have to be a baby to use this product! I always used this on my daughter’s hair…saves a lot of tears!! My son has crazy knotty hair! I use purology 21 benefits as a detangler for her curly hair. Works like a charm! My daughter is only four months so I don’t have to do much to manage it. But I am a hairstylist and one of the things I notice is kids take a shower/bath at night and then fall asleep. If you braid the hair before bed it will help with a lot of the tangles. 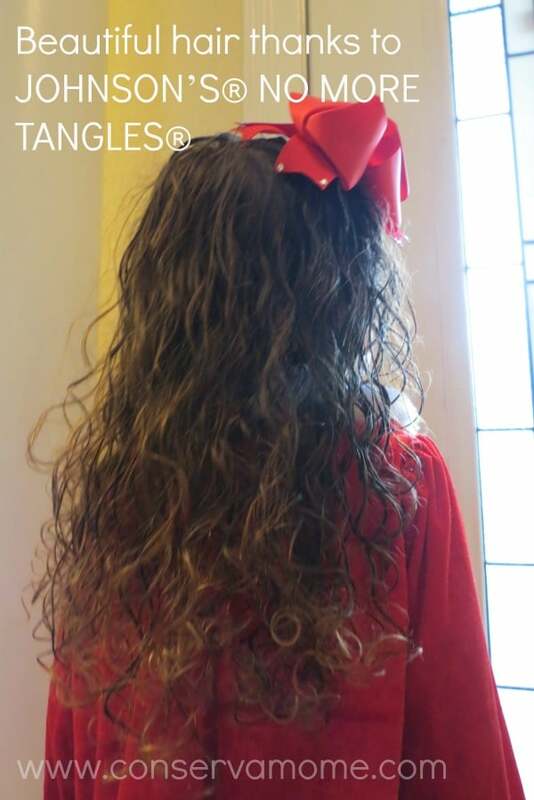 I could really use the No More Tangles for my daughter! She has fine hair, but it gets knotted easily. My daughter also have thick curly hair… Mine is straight, so I didn’t know how to properly comb it. I think I should try a leave-in conditionner! I have only boys but one of them has long curly hair and I use Fructis leave in conditioner on it so that I can comb it! I’ll have to keep this in mind if my next child is a girl! …Well, I’ve got a boy, so I’ll mostly just be buzzing him. I really like the Jonsons bed time bath to, Calms the kids down before bed. I had no idea they had a leave-in product! I’ve never seen it here north of the border…but I will definitely be looking for it now. 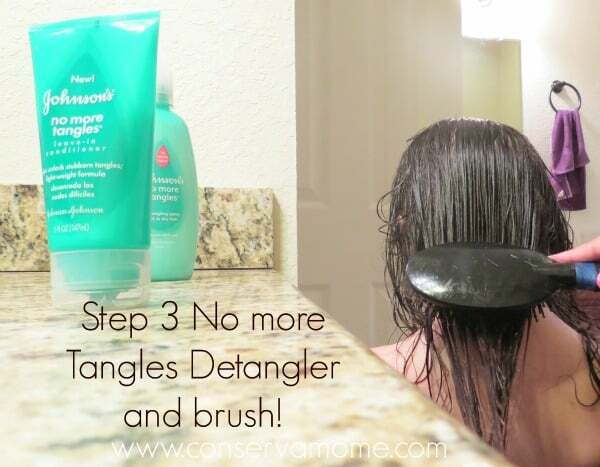 we could definitely benefit from the no more tangles conditioner!!!! This would work well for my little sister once she gets more hair! I think I might use this for myself! Looks awesome. Thanks for the review! This would work great for my 2 curly haired girls. For now my 8 month old still doesn’t have hair so I’m in the clear, but I know my mom used a similar routine on me as a kid and I plan to do the same once the inevitable hair battles commence :-). My daughter has thick and curly hair and no matter what I do, always ends up waking up with a rats nest in the back of her head that takes forever to get out, even with washing. 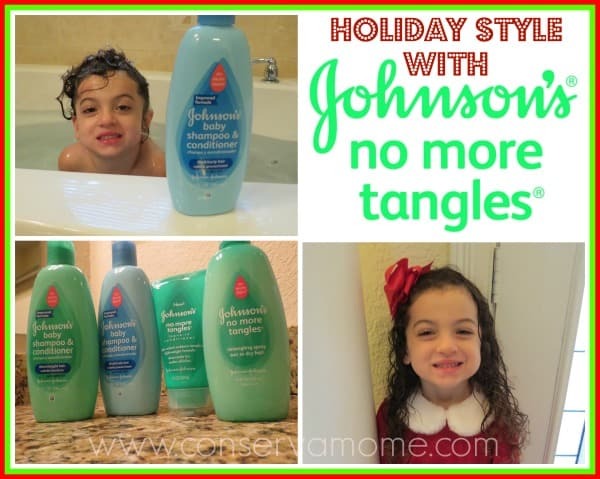 I’m definitely going to have to try Johnson’s no more tangles! Need to give this a try for my fine haired daughter. I love these products. I think they work really well for my daughter’s curly hair! My guy is still pretty bald but your model is beautiful!! I use conditioner on her hair. That is going to come in handy when my daughter has hair!! My mother should have bought stock in this! I had to use so much growing up. I wonder how much my daughter will require when he hair gets longer. ..
i love their products. Luck ally I have boys so I don’t have to battle with tangles. I’ve never tried Johnson products, but I would give them a try! Thank you! I was about to ask whether it was “tear-free” than saw it was. My daughters hair looks wild and untamed about 10 minutes after I’ve just brushed it, so this is great! I don’t have daughters, but my mom could have used some of this when I was a kid! We had a constant battle with my hair growing up. My daughter has short hair and its so hard to get the knots out when she wakes up. I may need to look into these products bc her hair is ridiculous ! This looks great, my daughters hair is getting long! I don’t use Johnson products. I have two boys so tangles aren’t an issue for us 🙂 she has gorgeous hair though! My daughter is only 6 months right now so no detangeling needed yet. But thanks to your review I will have to remember Johnson and Johnson’s detangeling regamine. These products would be perfect for my little granddaughter who has long curly hair that tangles easily! My daughter has curly hair also and I am always looking for the best way to keep it tamed and healthy. Thanks! This makes me want a little girl, tangles and all! My daughter’s hair always has so many tangles! I have to spray a detangler in everytime I brush it so I will have to try this product. Your daughter is beautiful!!! I don’t have a daughter but I still love all the Johnsons products! I love how simple it is to get such a cute finished product! I would have never thought to use Johnson’s products either. My kids’ hair tangles so easily! This really the only thing that helps. Oh man! I need to get this. My 2 year old has LONG hair and it gets so tangled. so, i normally make all my own soaps and things, but i have to admit i have found no suitable DIY substitute for no more tangles. this stuff just saves so much upset in my house that i cant stay away from it! That made your daughter’s hair look beautiful. I’ve been looking for something like this. 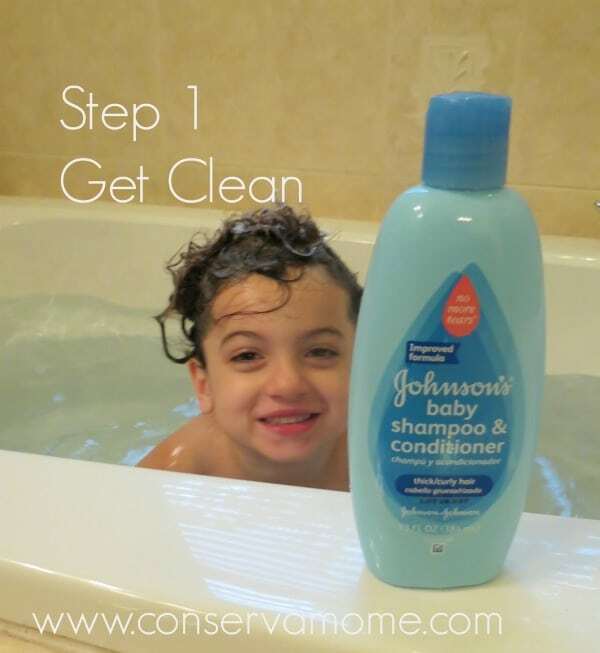 I use the johnson and johnson shampoo on my daughter’s hair and then have to use a dab of my conditioner but it seems to weigh her hair down when I do that. I’ll have to try this. My girls are 5 and 8 still using this product. It works great on their thick hair. This would be great for adults.